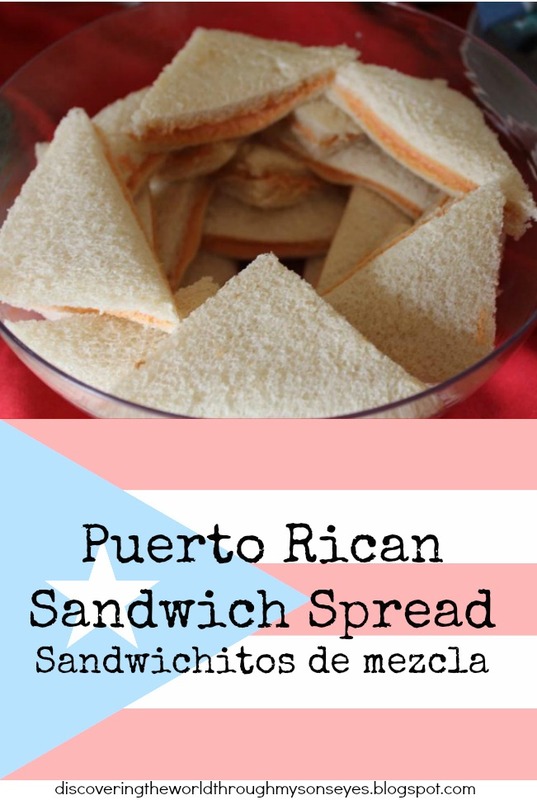 Puerto Rican sandwich spread (sandwichitos de mezcla) is a staple in every party, event or family gathering in Puerto Rico. What is it? It’s a creamy and delish mixture of cheese, luncheon meat, pimentos and cream cheese nicely spread between two slices of white bread. FYI, this is not healthy at all, but oh so good! During this past holiday I hosted a party at home. Guess what I served? Yes, sandwichitos de mezcla, and they were a hit with both the kids and adults. So if you’re hosting a party or gathering why not serve something with a twist, or a multicultural appetizer like these sandwichitos de mezcla? The recipe that I used calls for cream cheese, and it gives the spread a creamier texture. Others recipes that I have seen used mayo, and others don’t use the cream cheese at all. 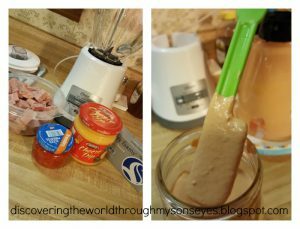 Dice up the luncheon meat, and slowly mix in the blender with the rest of the ingredients until smooth and creamy like in the picture below. I used the pimentos liquid as well. If you need it to be more smooth you can add a little bit of milk. Spread on two slices of bread and cut off the crust. Like the picture above. How about you? Any spread in your neck of the woods?